Welcome to this week’s edition of the Carnival of Space. Space is a really big and really busy place. Each week we find more to explore and more ways to explore what we find. Just when we think we might have it all figured out, something new appears on the horizon. There is a lot of space explore in episode 326 so let’s get started. First up, from the The Chandra X-Ray Observatory Website there are two articles about the raw data behind their press releases and their archives. Some pretty amazing stuff. 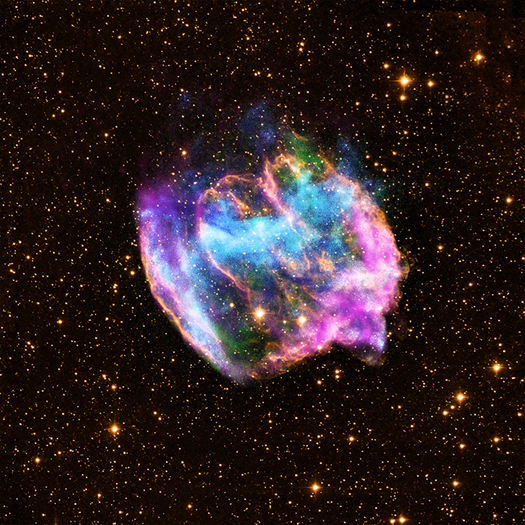 The Chandra Data Archive (CDA) plays a central role in the mission by enabling the astronomical community – as well as the public – access to data collected by the observatory. Next up, sometimes things don’t work out like you planned and that can be a good thing. Dr. Paul Spudis has his article at The Air & Space Smithsonian website. Unplanned (But Controlled) Experiments: The Role of Serendipity by Dr. Paul Spudis discusses the LADEE Mission. Space seems to be getting a little more crowded. The Meridian Journal covers the latest find of a rocky planet orbiting a distant star. Astronomers confirm first Earth-sized rocky exoplanet. While on the subject of planets, our own Steve Shurtleff of Photos To Space explores what scientists may (or may not) have found orbiting Alpha Centauri B. To Bb or not to Bb? A question that may or may not be answered by science. Then and Now: Planning is very important but sometimes luck can really make your day. 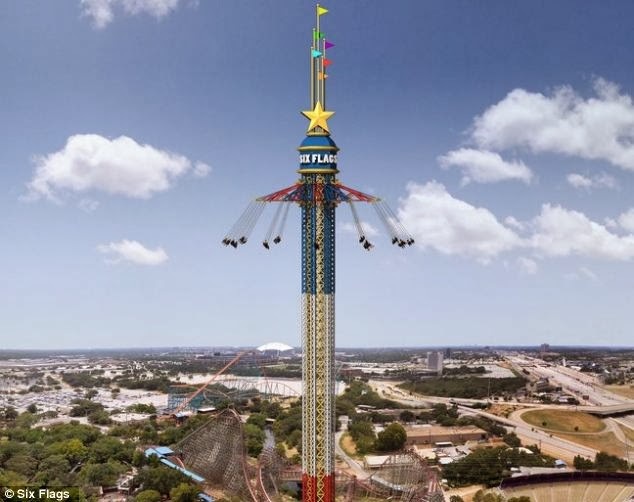 There is a design for a new space launch system that would leverage an inflatable tower design. Fisher Space Systems LLC has created the design for an inflated tower combined with a rotating system that will fling a reusable launch vehicle to space. It will only need a reusable upper stage. It could also be combined with a rotovator for the upper stage. Electricity can power the elevator ride up and power the rotating system. The Space Track Launch System (STLS) is a two stage system. The first stage is a tall tower 100-150 km high. An electrically driven rotating truss at the top of the tower is attached to two sets of ribbons made of high strength fiber composites. Counterweights (CW) are attached to the end of each ribbon. The second stage is a reusable liquid fueled launch vehicle (LV) designed to launch form the STLS. The system is unique for several reasons. First, the first stage is all electric and can be used up to three times a day. The electric motors restore rotational kinetic energy to the ribbons in approximately 8 hours. Second, the launch vehicle launches from a point along the ribbon as opposed to being released from the end of the ribbon. For a 30 ton launch vehicle, launching from the end of the ribbon produces a compressive shock wave that will destroy the ribbon and damage the tower. Planetary Resources, the asteroid mining company, will advance its mission to mine resource-rich near-Earth asteroids (NEAs) by launching the first in its Arkyd Series of spacecraft – the A3 – into low-Earth orbit as early as April 2014. The A3 is the Arkyd 100’s technology demonstrator, and the mission will provide for early testing and serve to validate the spacecraft’s core technology and software in the development of the program. 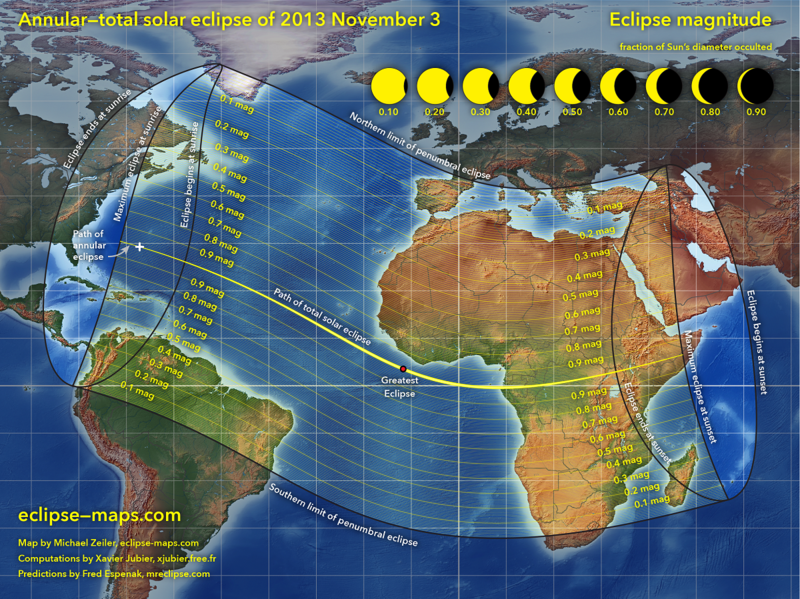 Continuing out into the solar system we have a look at the upcoming eclipse happening in November. Universe Today explains why this is a must see show. Currently overshadowed a little by the 2012 comets, ISON, Lovejoy, Linear 2012 X1 and Enke all feature this month in the northern skies. Siding Spring will have to wait till next year for its fanfare as it does a very close approach to Mars just after the MAVEN space mission arrives to sample Mars atmosphere. Have you ever wondered if there are like minded space enthusiasts in your corner of the Galaxy? Everyday Spacer covers the growing trend of meetups for coordinating like minded gatherings of the interstellar kind.